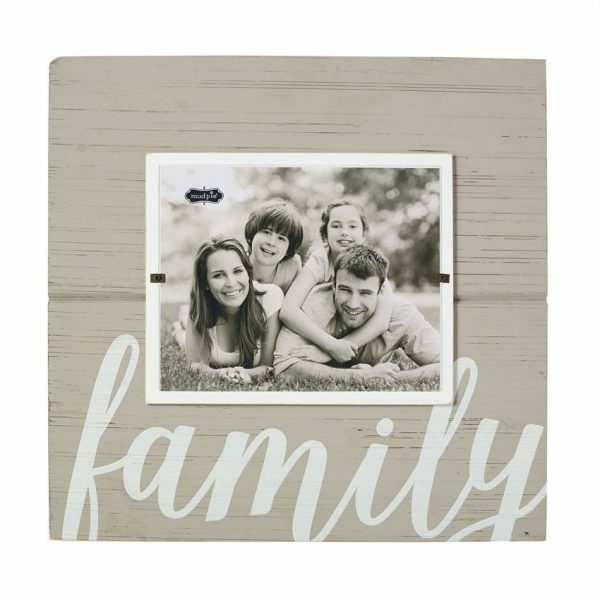 Painted wood frame features printed “family” sentiment, beveled distressed accent line and edges, painted wood mat and holds 8″ x 10″ photo inserted from the front. Hangs with saw tooth hardware or stands with dowel easel. 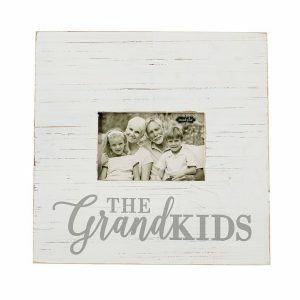 To hold captured memories that will be remembered for a lifetime! Place anywhere in the house or give as a gift.